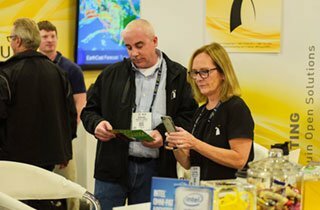 Showcases are fun, informal, interactive learning environments where you can engage with the creators of next-generation technologies. Showcases will include the Doctoral Showcase, Emerging Technologies Showcase, and Scientific Visualization & Data Analytic Showcase. The Doctoral Showcase provides a unique opportunity for students nearing completion of their PhD to present a summary of their dissertation research in the form of talks and posters. Unlike Papers and Poster presentations, a Doctoral Showcase poster (now called a thesis canvas) highlights the entire contents of a dissertation, including previously published results, to allow for a broad perspective of the work. 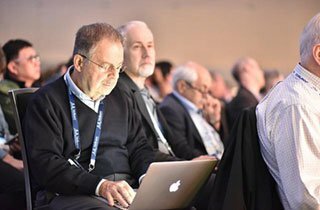 SC18 submissions will be accepted from PhD students who plan to graduate by December 2019. Please see the sample submission and review forms for more details on submission formats and evaluation criteria. The authors of accepted submissions will be invited to present at the SC Conference, and will also display their work as a poster. Submissions to this program may also be submitted to the ACM Student Research Competition posters track or published at other venues. All conference attendees are encouraged to attend this event. This program provides an ideal opportunity for prospective employers in academia, research laboratories and industry to meet prospective PhDs. Come to see the latest and greatest dissertation work done by tomorrow’s HPC experts. SC’s Emerging Technologies Showcase highlights innovative solutions that may significantly improve and extend the world of HPC in the next five to fifteen years. Consisting of carefully selected exhibits and presentations, Emerging Technologies will showcase innovative technologies from industry, government labs, or academia. Typically these technologies will be very early-stage and so not yet available from industry as products. Technologies such as, but not limited to, neuromorphic and deep-learning accelerators, reconfigurable and approximate computing devices and systems, new SoC designs, 3D and non-volatile memory technologies, alternative programming languages and system software, and novel cooling techniques may offer medium-term benefits, while new device technologies such as, but not limited to, carbon nanotubes as well as quantum computing and next-generation optical computers offer potentially paradigm-changing benefits over the longer term. The Emerging Technologies Committee will select these technologies from submissions, using a peer-review process. Successful projects advocate future technologies with the potential to influence computing and society as a whole. SC’s Scientific Visualization & Data Analytics Showcase provides a forum for the year’s most instrumental movies in HPC. Six finalists will compete for the Best Visualization Award, and each finalist will present his or her movie during a dedicated 15-minute presentation. Movies are judged by overall quality, how they illuminate science, and for creative innovations in the movie production process. Accepted submissions will be published in a virtual special issue of Parallel Computing. 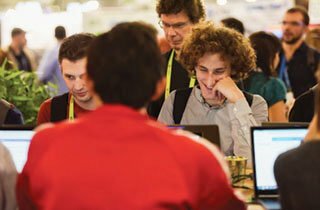 There will also be both a live display throughout the conference so that attendees can experience and enjoy the latest in science and engineering HPC results expressed through state-of-the-art visualization technologies and a session at SC18 dedicated to the accepted submissions. Submissions need to include a movie (up to 1GB in size) and a short paper (up to 6 pages including references). The short paper should describe the scientific story conveyed by the movie, how the visualization helps scientific discovery, and the “state-of-the-practice” information behind making the movie. How effective is the visual communication of the data? How relevant to the HPC community is the visualization? What is the impact of the science story and how well is it told? What visualization techniques were necessary to create the movie? Finally, submissions should consider SC18’s overall theme “HPC Inspires”. All submissions comprise a video and accompanying manuscript. The video submitted should be in MP4, MOV, or AVI format and use a codec that will play in typical desktop computer media players. There is no hard limit on video length, but typical videos are less than 10 minutes long, and the submitted file should be no more than 1GB. The manuscript should be uploaded as a pdf for the initial submission. Authors of accepted submissions will have to send the original material (.tex or .docx files and any source image files) to Parallel Computing’s publisher. After accepted authors present their work, a select committee will choose among them for the Best Visualization Award. The winner of the Best Visualization Award will be presented during the SC Awards Session. The HPC Impact Showcase are presentations that highlight real-world HPC applications at companies, both large and small, who are currently employing HPC to advance their competitiveness in the global marketplace. Presentations should be designed to introduce attendees to the many ways HPC matters in the world. Rather than presenting a technical deep dive, they should be aimed at a non-expert audience interested in learning how companies are adopting and embracing HPC, how it is improving their businesses, and the resulting design, engineering, or manufacturing innovations. See specific showcase for important dates and deadlines. Questions about the Doctoral Showcase? Questions about the Emerging Technologies Showcase? Questions about the Scientific Visualization & Data Analytics Showcase? Questions about the HPC Impact Showcase?